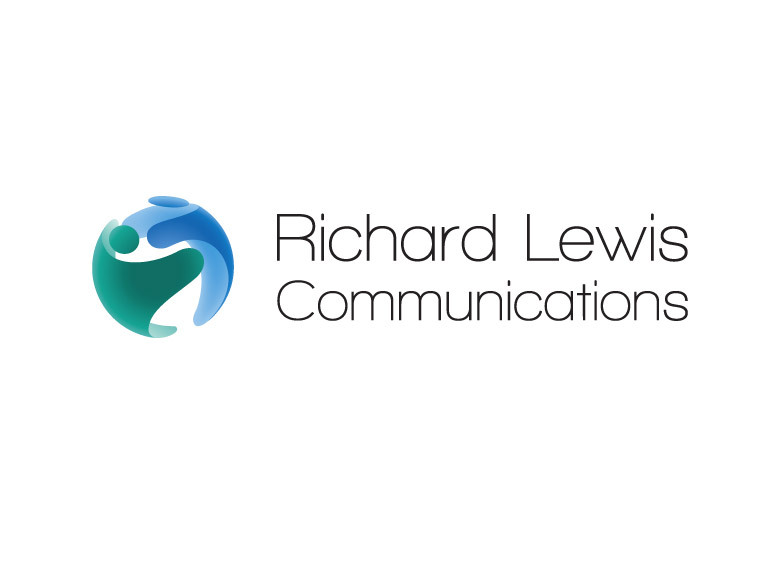 Richard Lewis Communications (RLC) have been leaders in the field of professional cross-cultural communication and competence for decades. They train business executives from the likes of Unilever, Siemens and Allianz, as well as a selection of the world’s top politicians and academics. 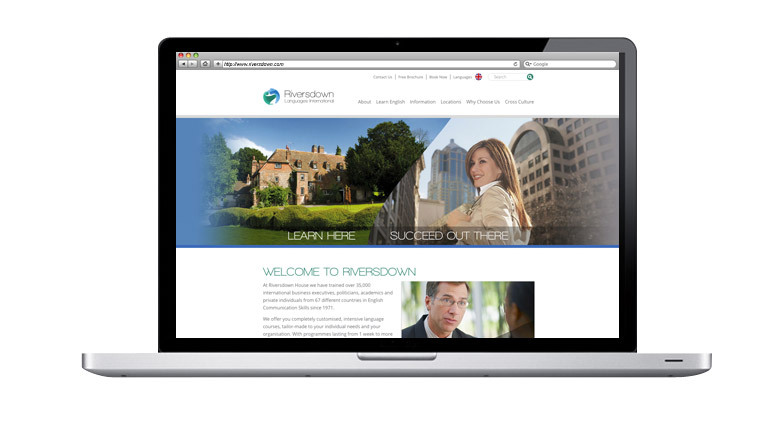 When RLC approached CuCo to refresh their branding and develop a website for their new sub-brand, Riversdown Languages International (RLI), we were delighted. 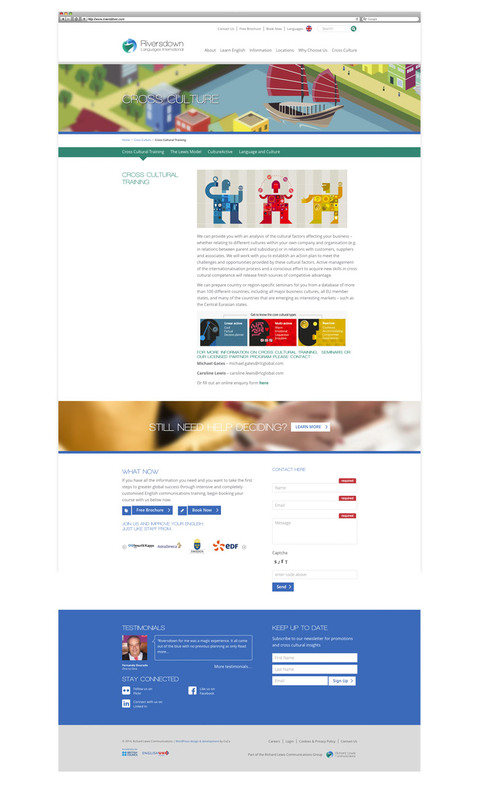 We delivered a brand identity that is contemporary and fresh, and works for both RLI and the RLC parent group itself. Whilst the original brand colours were retained, the new logo captures the essence of what RLC are about as an organisation. An abstract globe is created through two persons in green and blue interacting with each other, both leaning forward into the other confidently and forming a connection. The new website is fresh, intuitive and responsive. The challenge was to demonstrate everything that RLI has to offer, and sell the organisation to it’s target audience. Built on our selected CMS Platform, the new website allows for visitors to download collateral, reserve courses and find out about fees and other valuable information. Many of the pages are also multi-lingual to accommodate non-English speakers. I have worked closely with CuCo over the past six months as they have been designing and building a completely new website for our company. I and the rest of my colleagues have been immensely impressed with their professionalism, responsiveness, patience, but most of all the end product that they have produced. This has been beyond our expectations and we are certainly very pleased with the result. Building a website has been a constant iterative and collaborative process between the client and designer, and it has been a pleasure working together with CuCo. Cuco certainly have my strongest recommendation.